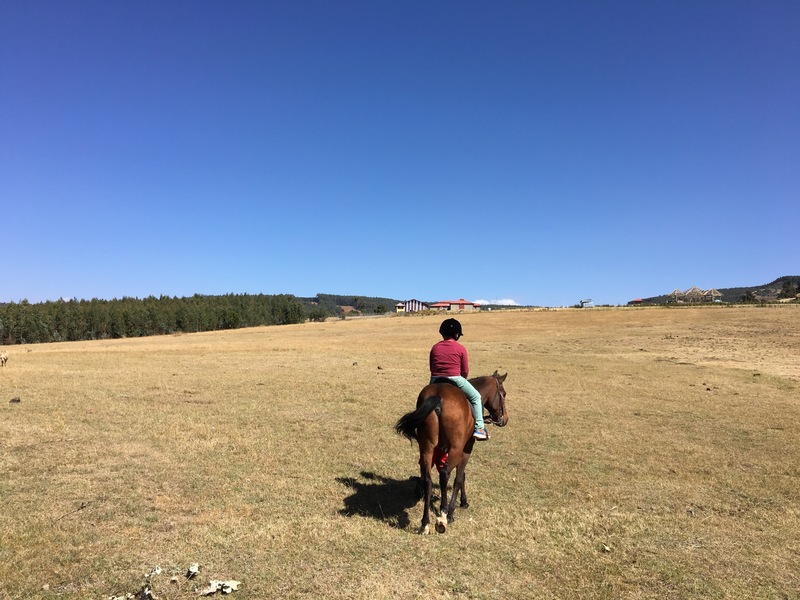 Education – Turknoy Travels 100! 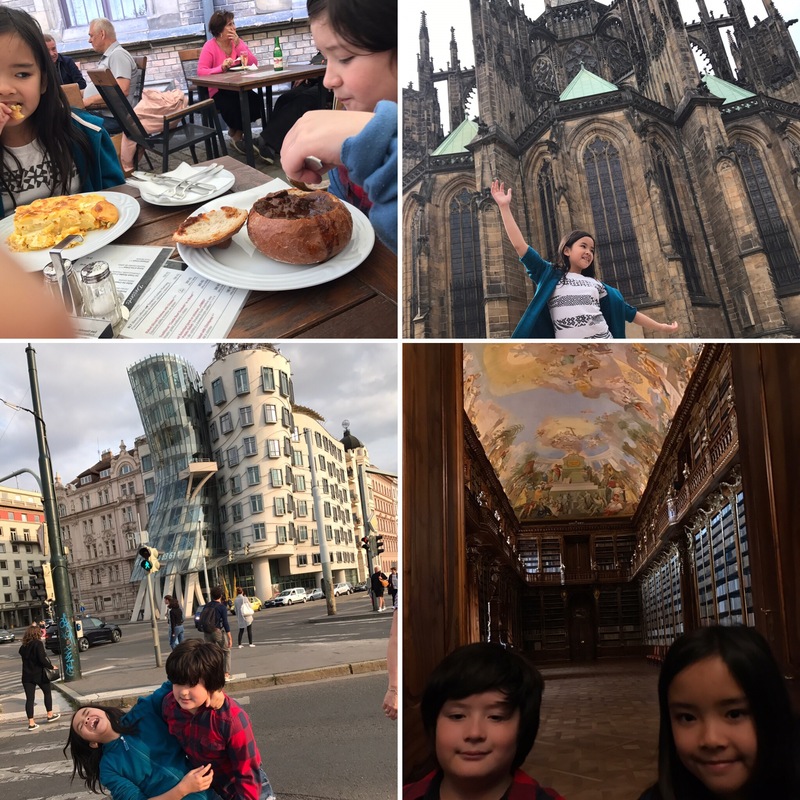 October 3, 2017 October 4, 2017 by turknoys, posted in Czech Republic, Education, Family Satisfaction, Travel Adventures, Travel Goals, Why Travel With Kids? First, a disclaimer – we never explored all parts of the country, like what we attempt for other countries we explored , at the very least, two cities of the country. Our thirtieth (30th, baby!) was mainly spent enjoying the Renaissance, baroque and gothic architecture of its capital city, Prague. No matter, boy, did we get ourselves full of stories, facts, science and history in, arguably, the city with the most tourists. We explored the city of Prague, mainly by foot. 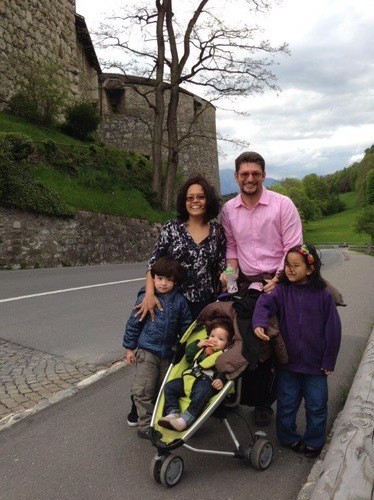 Yes, our 10 itchy, wanderlust-y feet, plus the three-wheel stroller, which turned 5 years in the family. New Town or Old Town, all bridges crossing the River Vlatava, ornate castles , holy churches, monasteries and our family’s favorites, library and brewery! The heart of Central Europe definitely left a mark in our hearts to come back. We want to know more about the Bohemian and other parts of the country. Hey-O! Completed 30% of our goals. 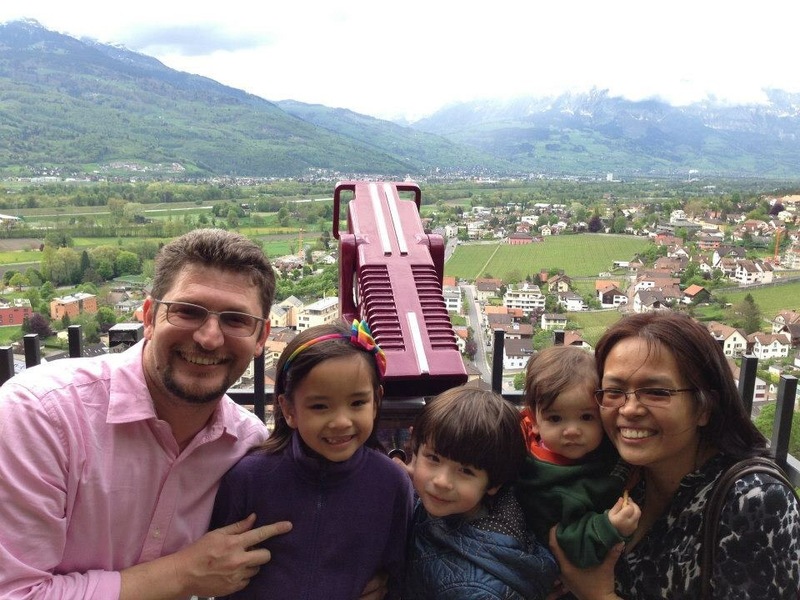 You can be like our family, too! Whatever your families’ priorities are, just go for it! 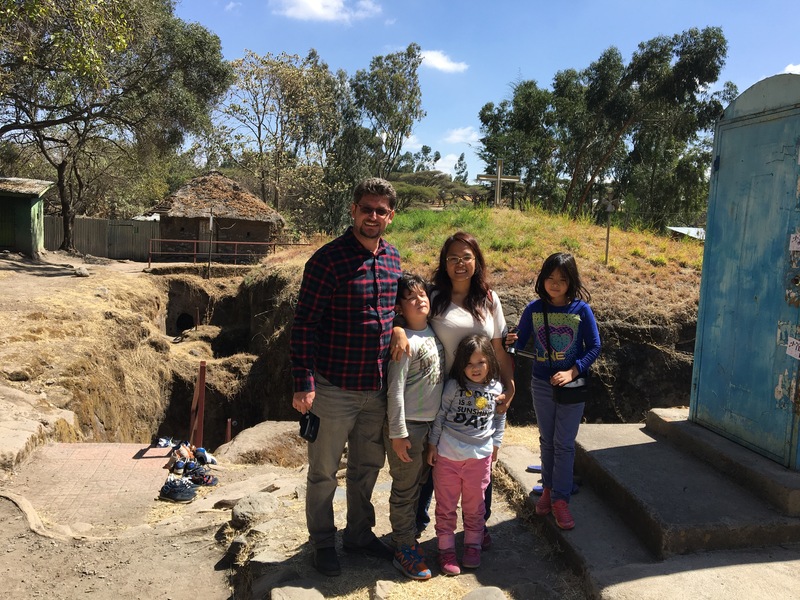 October 1, 2017 October 1, 2017 by turknoys, posted in Education, Travel Adventures, Why Travel With Kids? 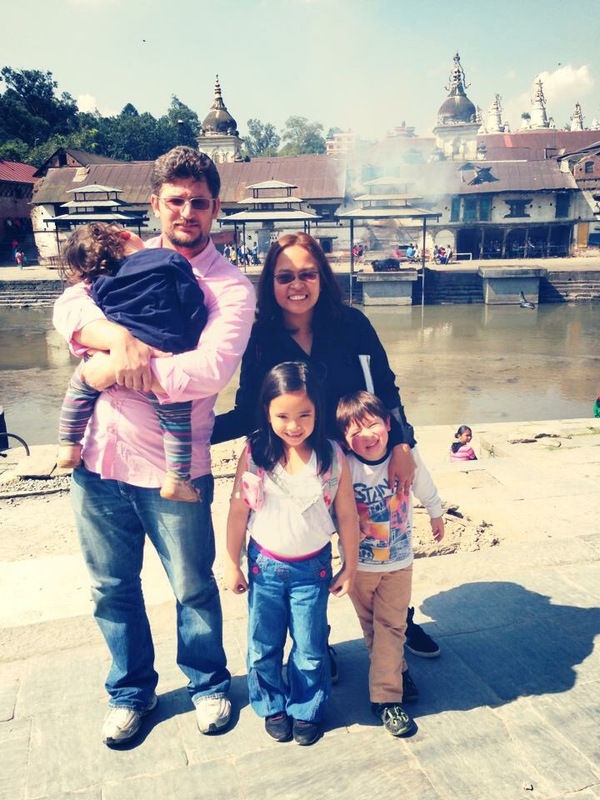 Finally made it to India as family! 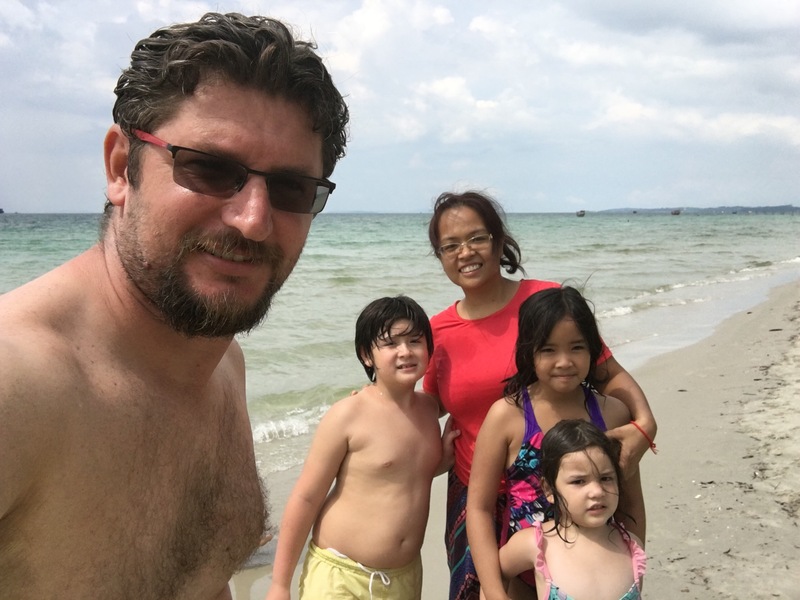 We’ve been to parts of India for last two years back, but we were not together and based on our own goal setting criteria which we have articulated our own family’s travel goal in Turknoy Travels 100 is a Lifestyle encouraging families to do the same. Visiting countries separately doesn’t count. 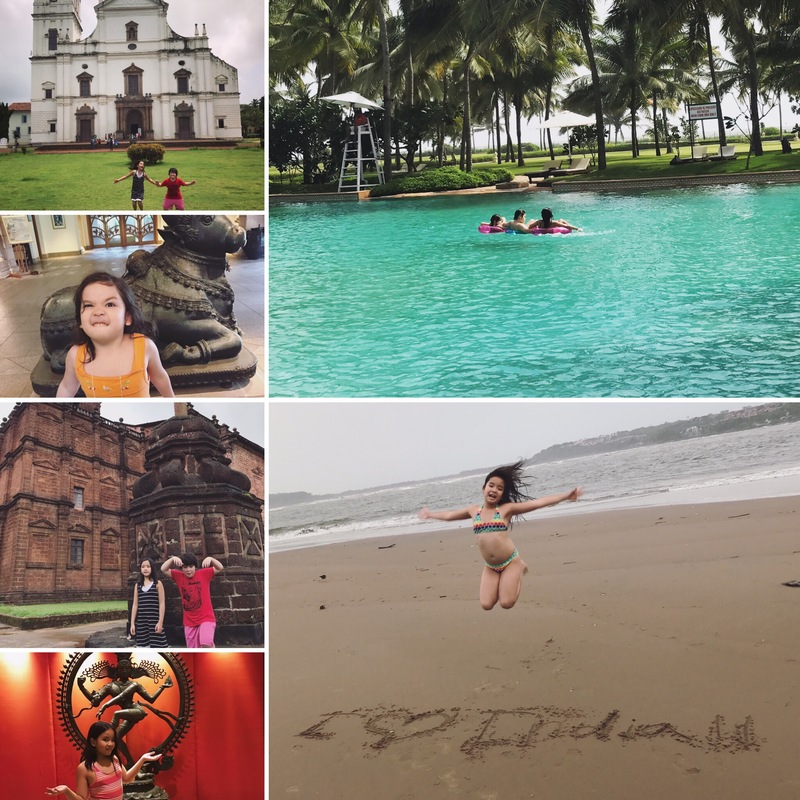 India is our Country 27 when we visited Goa, India , all five of us last July 2017. We definitely had the best time relaxing by the beaches of Arabian Gulf. Of course, the seventh biggest country in the world deserves way more than one time visit, especially for India where the one city is a world different from the other when it comes to religion, traditions and even geography. Visiting one city barely scratch the surface to understand India’s culture, religion, people and economy. Them, our family traveling mom (ehhem, me! 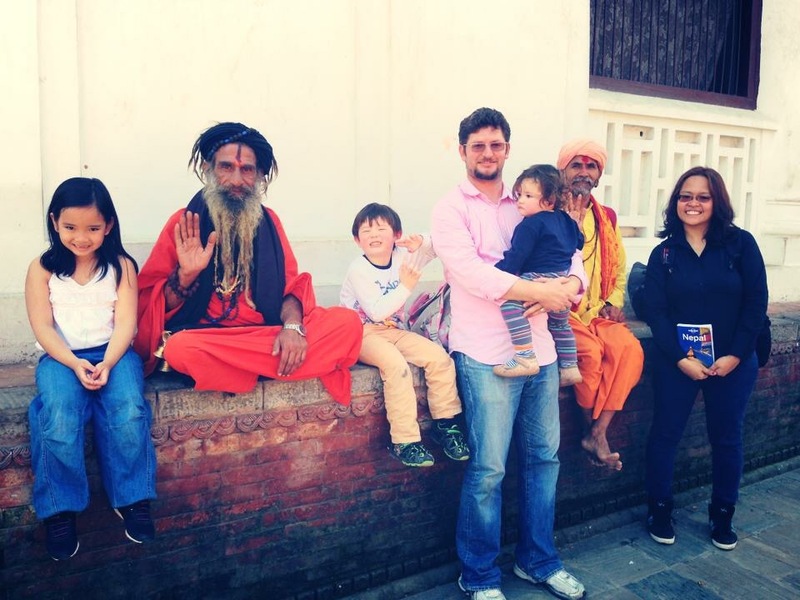 So far, the main author of this blog) visited New Delhi twice. One time way back 2015 with kids and their grandma and favourite Aunt. 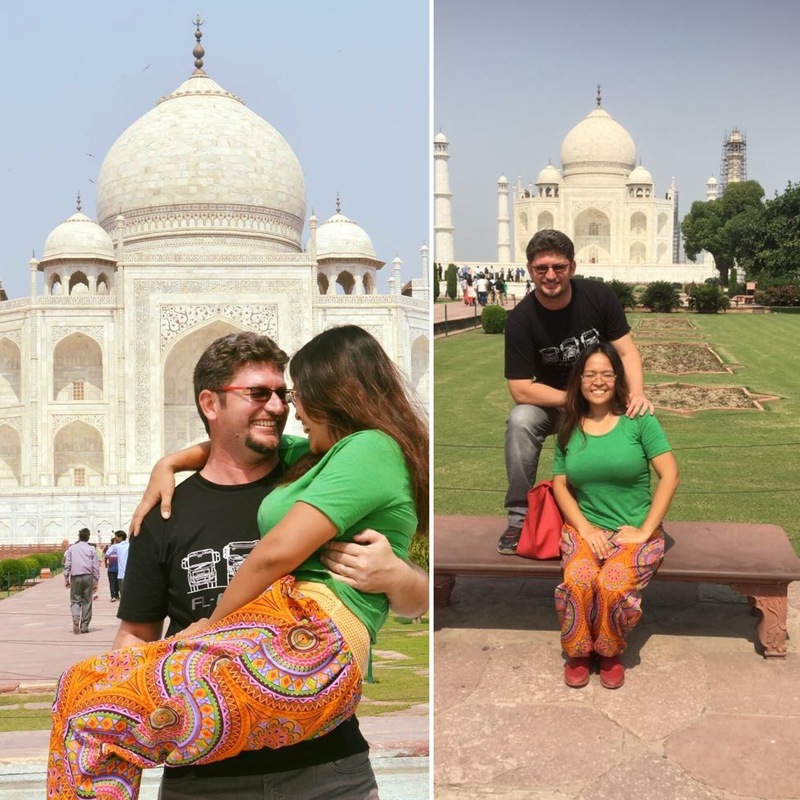 The second time was last year (2016) for mom-dad travel date. Fingers crossed, we get to explore India every year, one city at a time while we are based in the Middle East as expat family. New Delhi is a very progressive city with its train and metro system ready to cater to more than20 million people living in the city. The city is crowded and buzzing with adventure ready to be discovered by local and tourists alike. 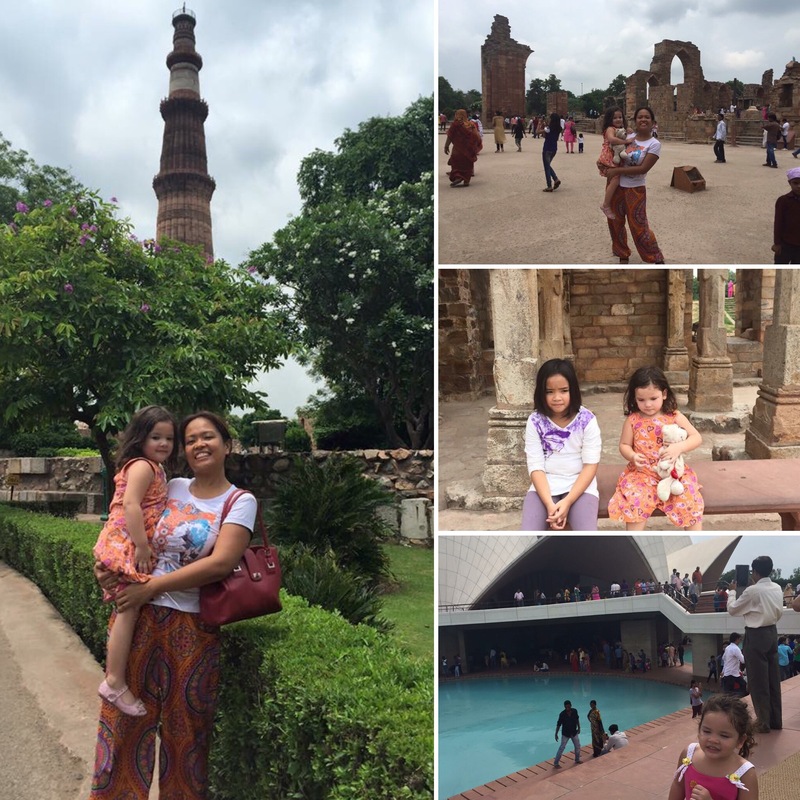 Exploring New Delhi is like a crash course or gateway for India’s diversity. A very interesting city indeed. 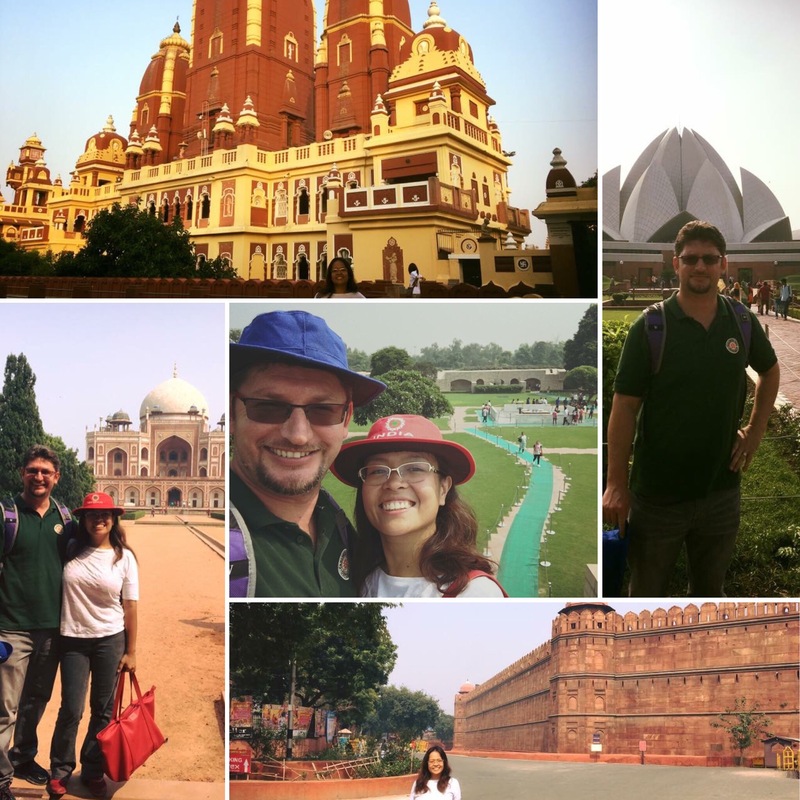 From New Delhi, we took a very comfortable train transport to Agra to see a Wonder of the World , Taj Mahal. What amazing structure it really is. Spending the day in Taj Mahal as a couple was very peaceful and yes, cheesy and romantic. Turknoys Mum: Would you build me a Taj Mahal when I die? Turknoys Dad: No. I would love you more than Emperor loved her wife when she died while you are alive. 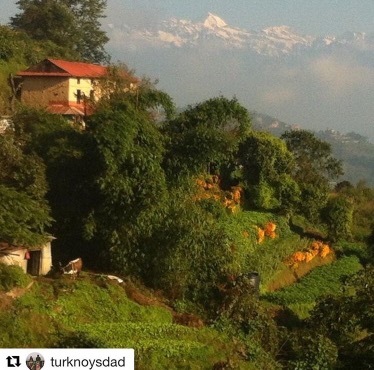 With all honesty, Goa reminds us of Turknoy’s Mom’s hometown Indang, Cavite. The tropical culture and the Catholic-village practice has resemblances. Understandably, since that’s how geography and religion works. The food, however, couldn’t be more different. Of course, we love both. Needless to say, India is incredible! It’s obvious as we keep on coming back! 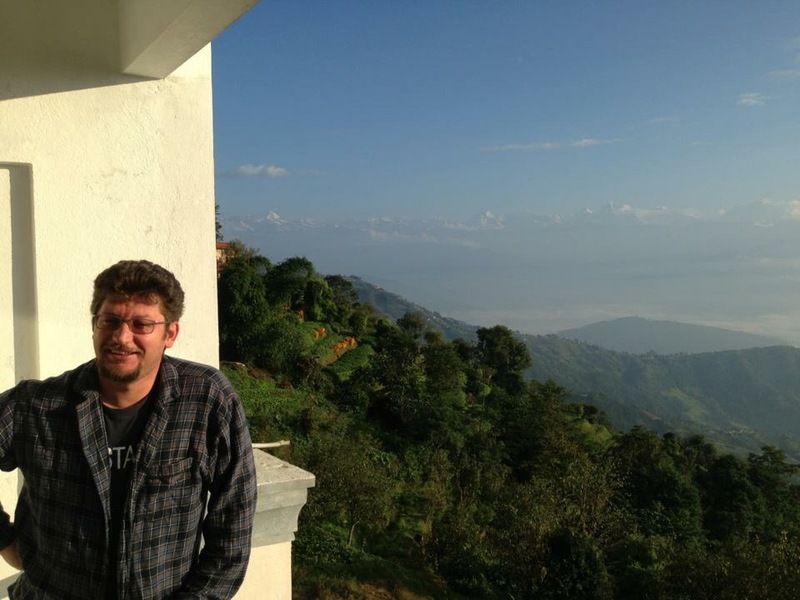 With God’s will, we’ll update this blog with places we will visit in India. What is your favourite city in India? Please give suggestions. 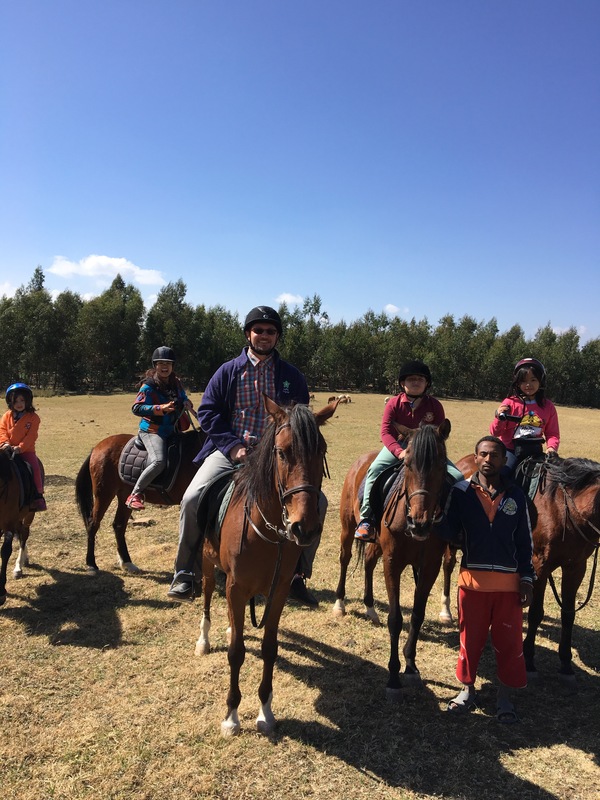 September 26, 2017 September 27, 2017 by turknoys, posted in Education, Ethiopia, Family Satisfaction, Travel Adventures, Why Travel With Kids? Woohoo! 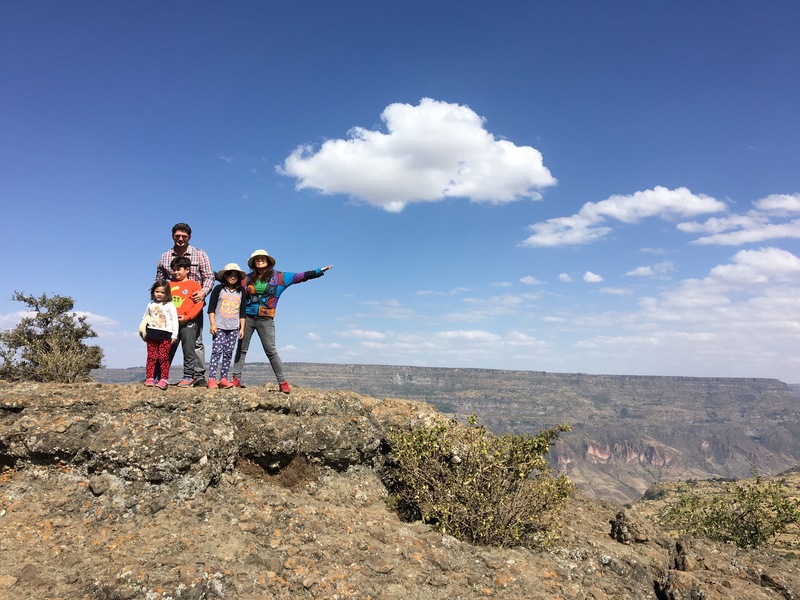 Our 3rd continent and our first African country to explore with kids. 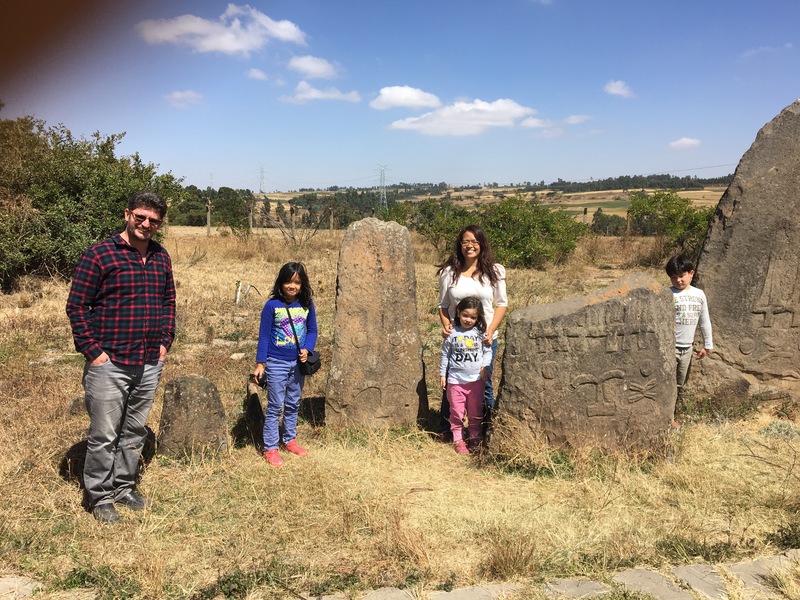 It maybe our love for discovering human history when our family travels that had drawn us in visiting Ethiopia. 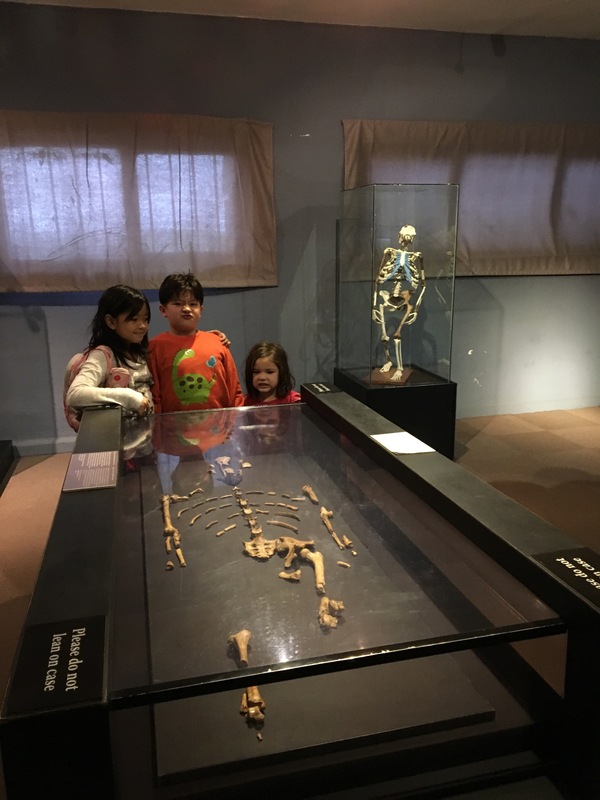 Our primary goal was to see Lucy, the 3.2 million years old fossil, probably the first evidence of humanity. The continent Africa is known as The Cradle of Humanity, then Ethiopia is its evidence repository. These traveling kids with Lucy! 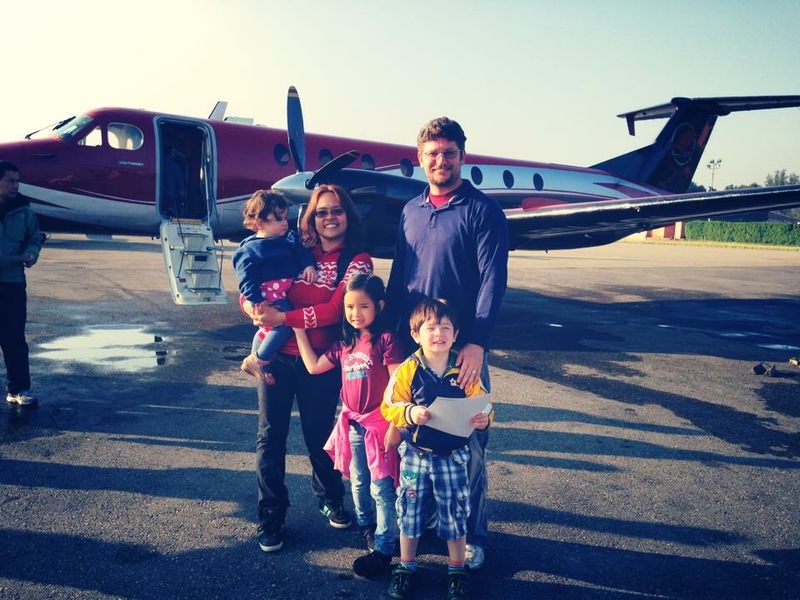 As a worldschooling family who sets SMART goals to travel to 100 countries in all continents by 2022. This is our attempt to live life to the fullest with kids. 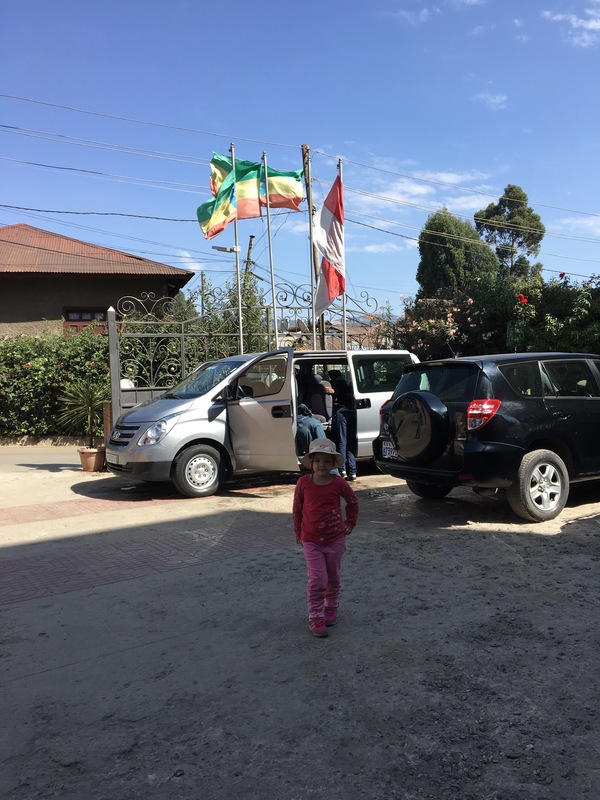 Ethiopia is our first country in Africa (our third continent, 30th country visited, to date. 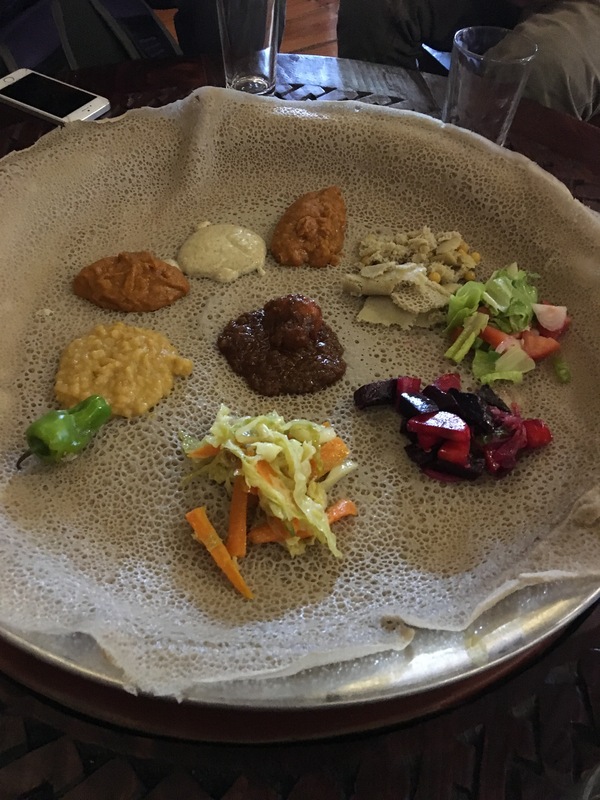 When it comes to food and accommodation, we had the most unique experience in the country. Barely 4 hours away from Qatar, we were amazed with a totally different world. We definitely had a crash course in archeology and paleontology and how it works in the real world. 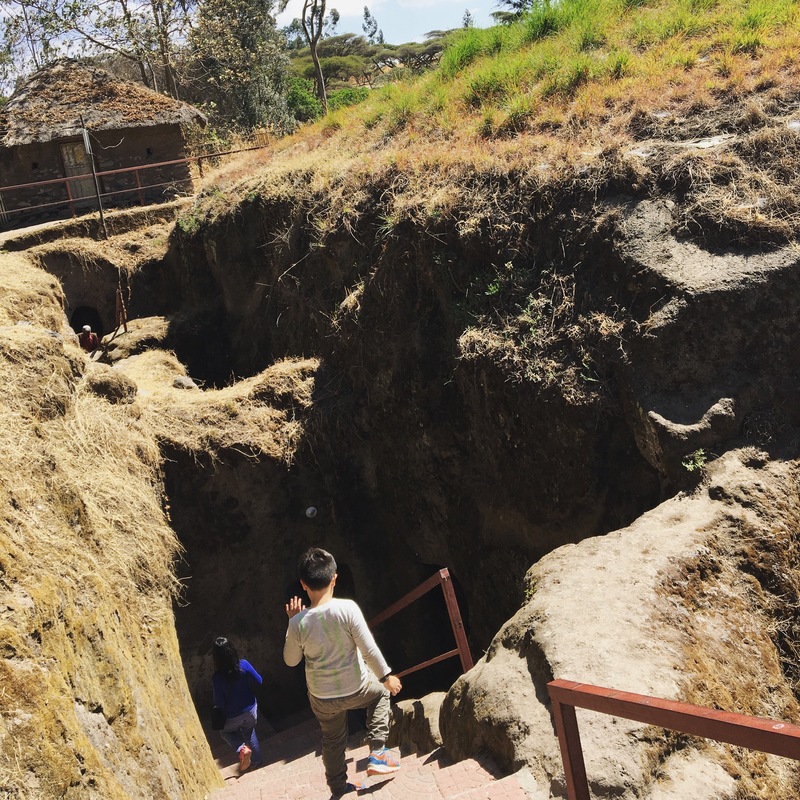 Our three traveler kids had been to countless of Natural Museums in Europe and Asia yet we were impressed with somewhat “shabby” museum in Addis Ababa containing real human history treasures. 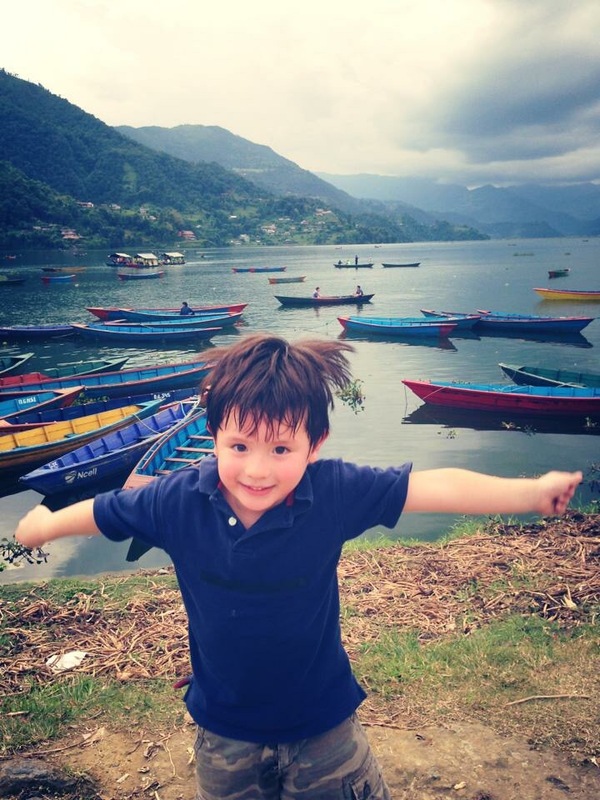 Look at our 5-year old, at home in a new continent ready to explore! 1. Country History: Ethiopia is the only African country, which successfully fought against the scramble for Africa. It was never colonized, though Italians attempted to occupy it twice. 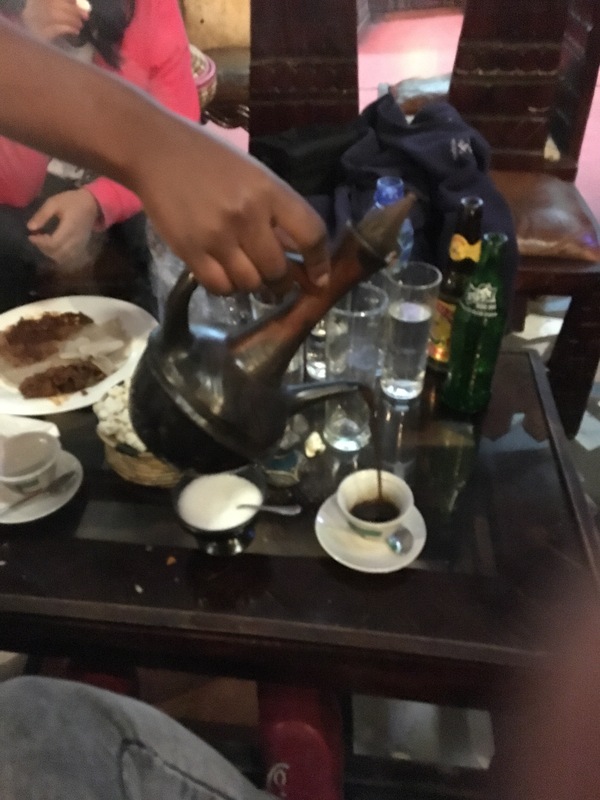 Ethiopia is a beautiful country worthy of independence. 2. 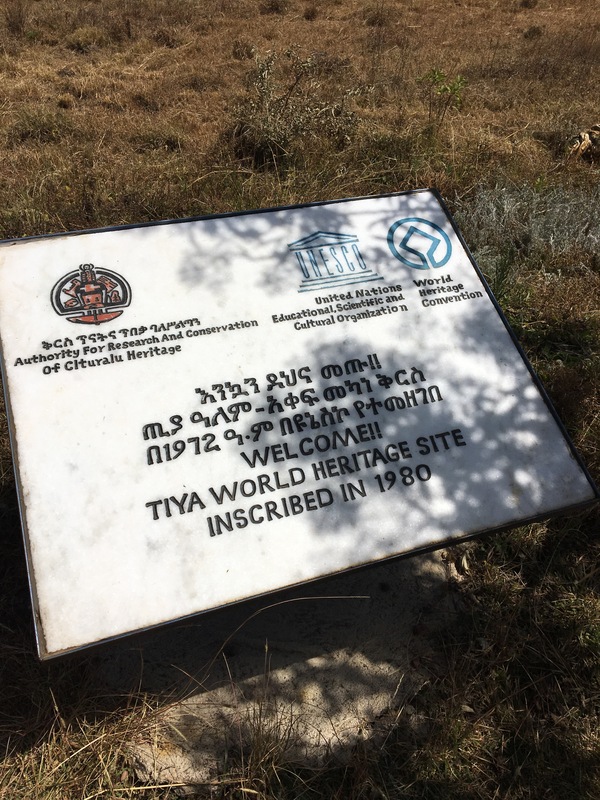 UNESCO Heritage Sites: There are nine, day trips from Addis Ababa possible! Most famous sites are Lalibela twelve-rock-hewn churches. 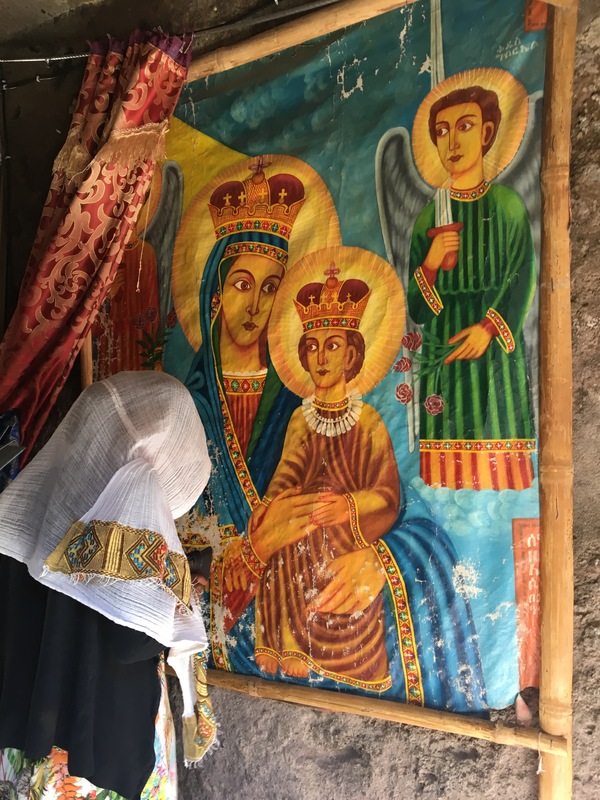 We visited Christian Orthodox churches which gave an interesting perspective for a family with both Islam and Catholic members. 3. 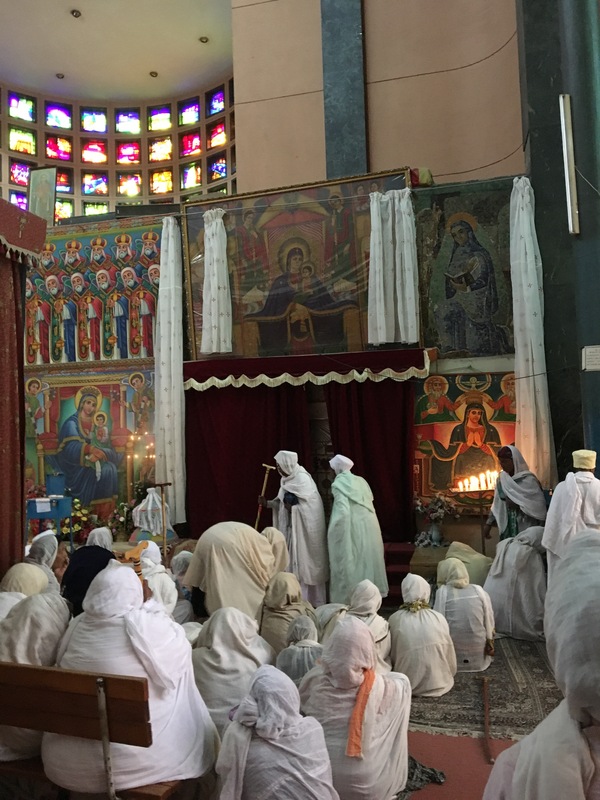 Religion: Ethiopia appears in the Bible 45 times both in Old and New Testament. 5. Abebe Bikila, a star Ethiopian marathon runner, won Africa’s first Olympic gold medal in 1960. 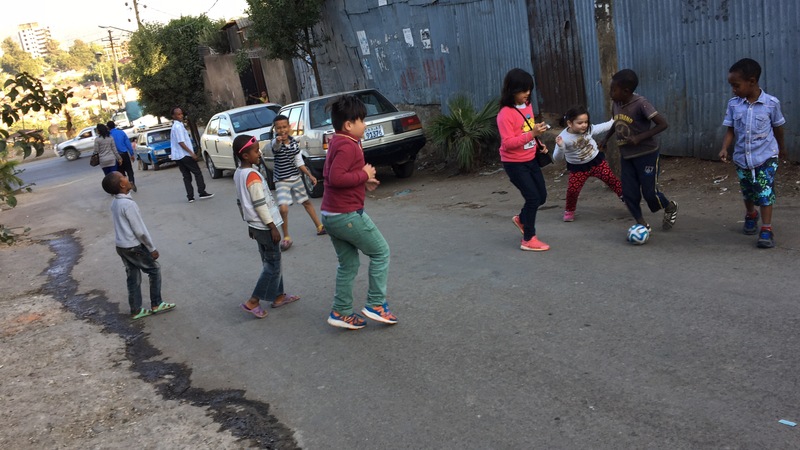 Add in the country’s high elevation Addis Ababa is athletes’ heart’s working out paradise. Made us want to become runners and marathoners. 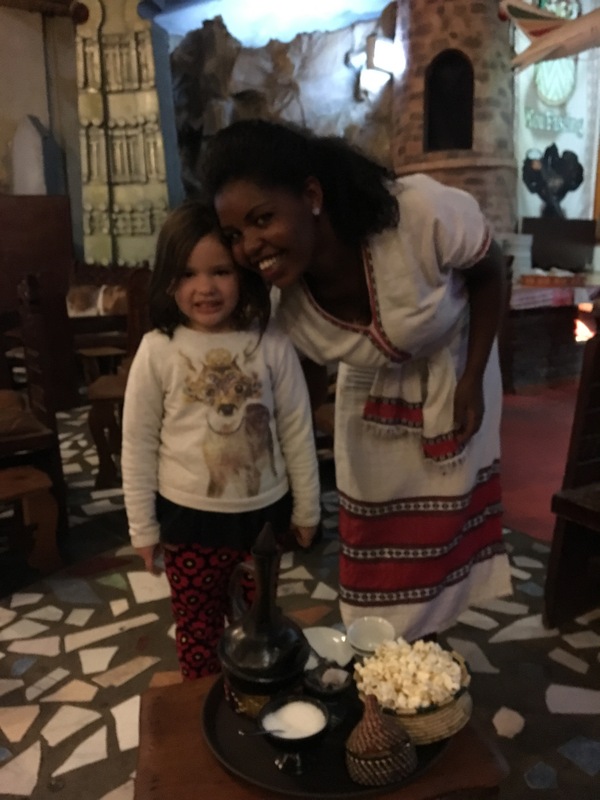 And oh, more pluses — the Ethiopian women are really gorgeous and almost everybody is kind to tourists. Ethiopia is one of the safest country in Africa to visit. 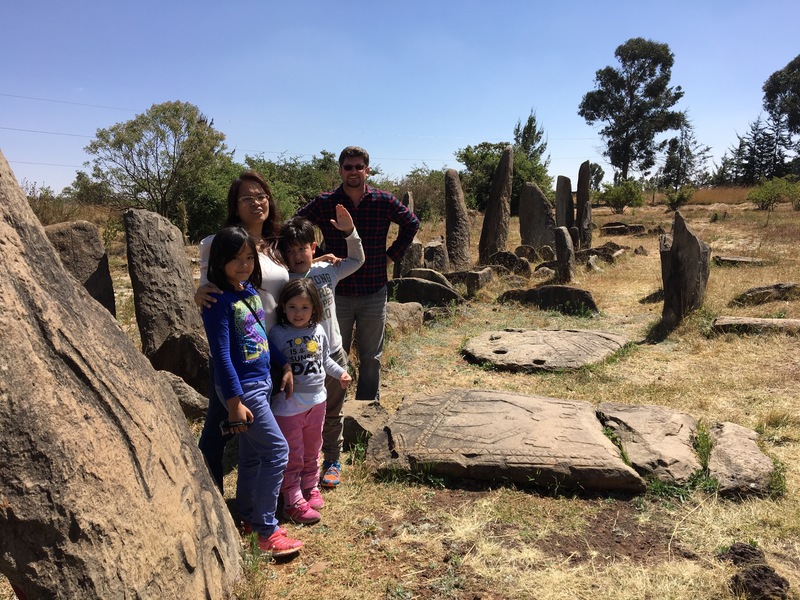 With low costs airlines flying to Addis Ababa almost every day from Doha, Qatar where our family’s currently based, for sure, we would be back for some backpacking with kids. 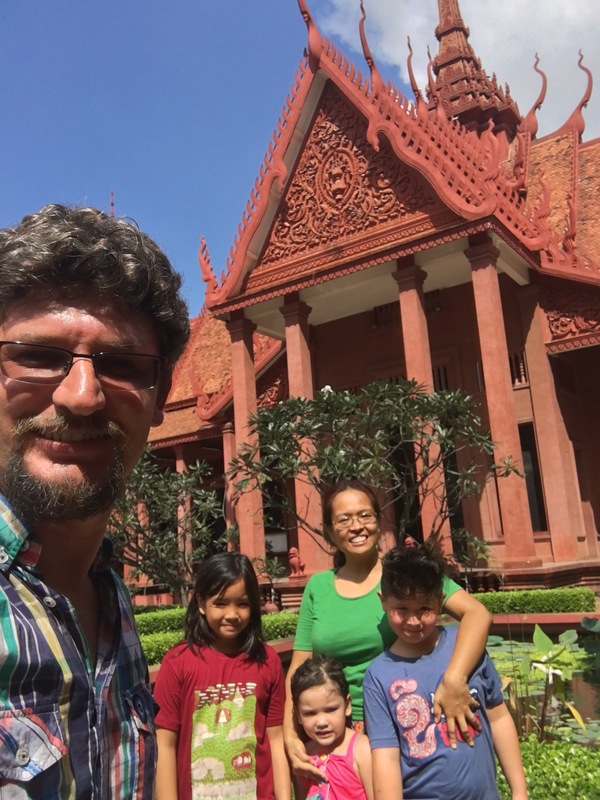 September 22, 2017 September 23, 2017 by turknoys, posted in Cambodia, Education, Family Satisfaction, Why Travel With Kids? The proverb made us think and ponder about the ambiance all throughout the country when we visited. 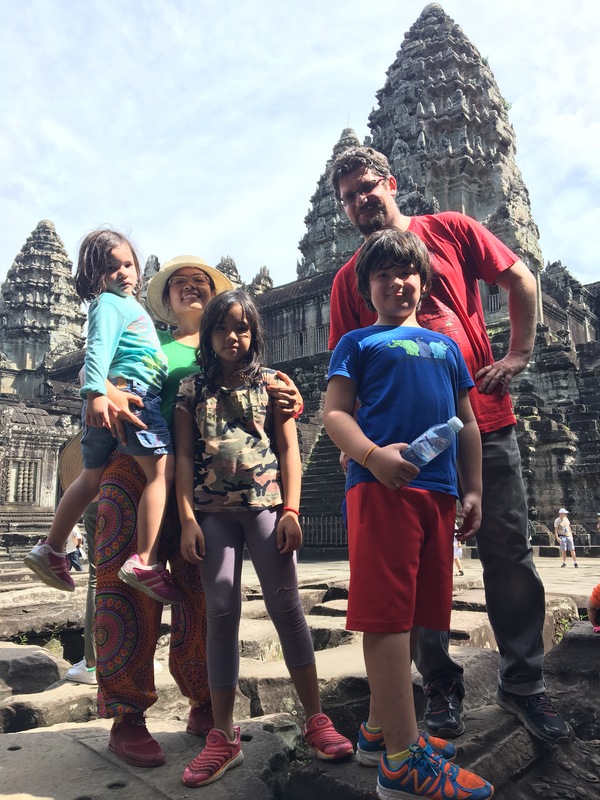 What we felt as family is that the country has been living out the glory of their ancestors, mainly from Angkor Wat legacy. From flag symbol to beer labels, Angkor Wat is very prominent in all the places we’ve visited in the country. Is that a good or bad thing? Well, we think it depends. Do they improve of what was and capitalize on growing at the rate what it was like during “ancestors” period, then yes. However, if there’s no significant growth and milestones since the past, and the present got stuck with the thinking of the ‘great old days” then, it’s definitely a NO for us. This is coming from our family, who are strong advocates of goal setting based on own family ideals – it takes courage. 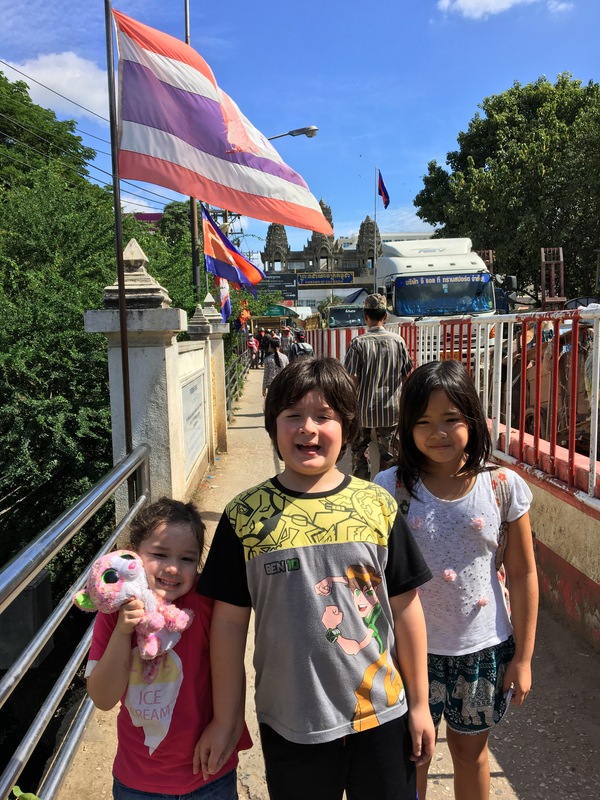 Straight from our family adventures in Amazing Thailand, we walked to the Kingdom of Cambodia by foot. Ain’t that cool? Crossing the borders by walking, yes definitely. 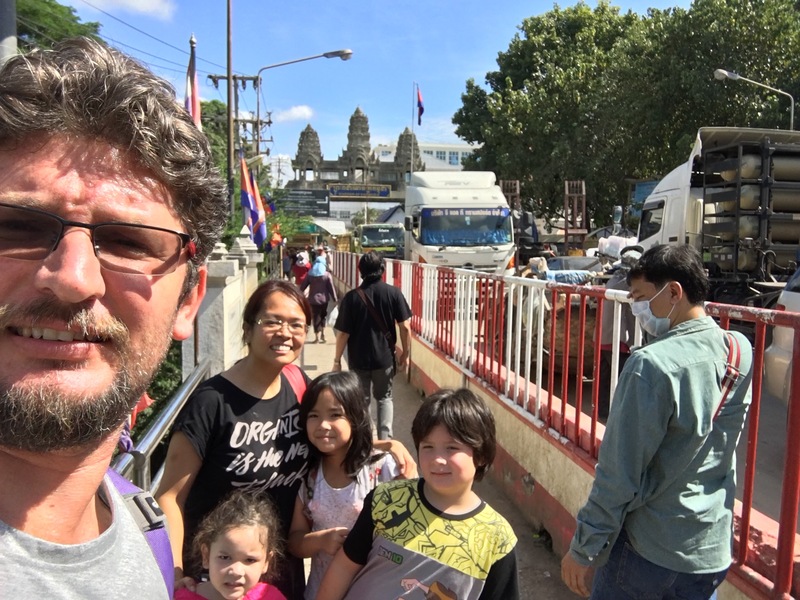 Exploring this vibrant city Siem Reap means visiting the UNESCO World Heritage Angkor Wat and discussing at length the wonders of one of the largest temple of the world. 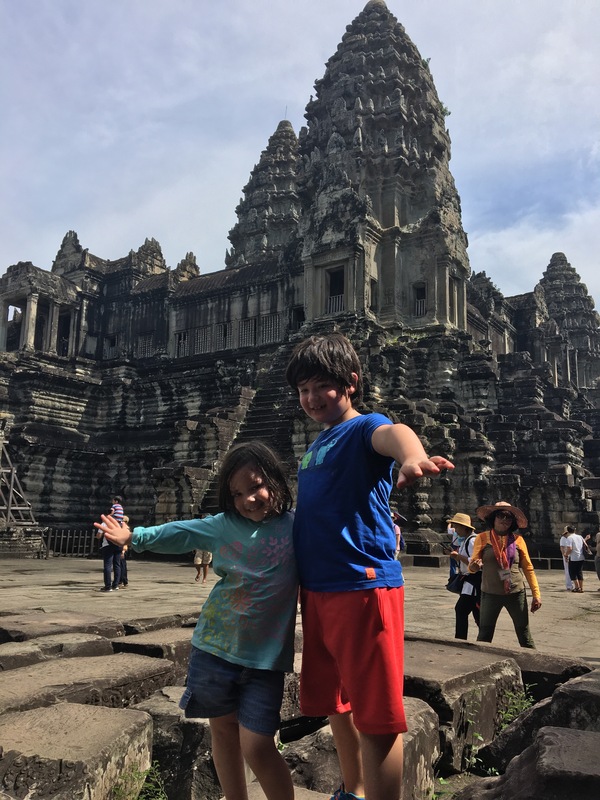 Our October visit to Angkor Wat may be the best weather to go. It was hot and definitely humid. 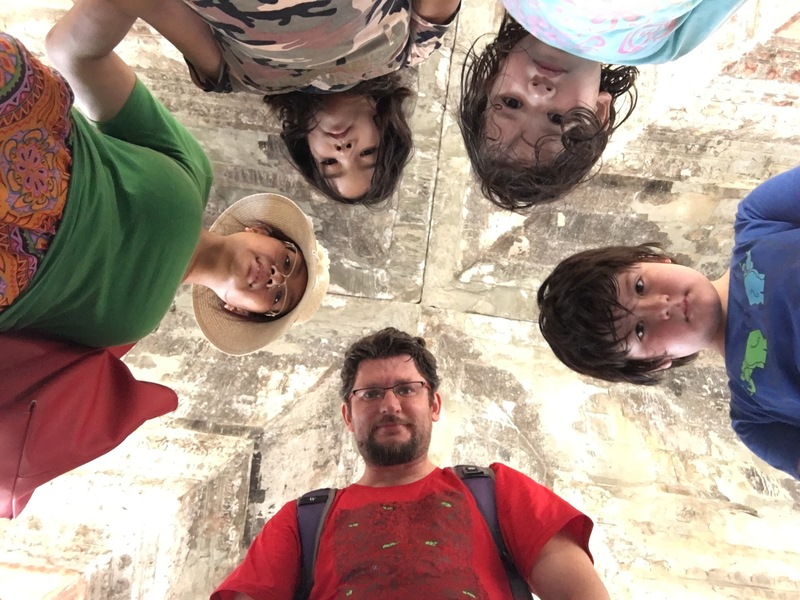 With kids, hyper and cranky at the same time, serious discussion about different belief system in ancient culture mixed with the region’s histories of empire was very challenging! There were a lot of whining and a lot of playing,too! Add in a lot of tourists. The mere wide area of the temple already fascinated us and our youngest reactions to temple, terrorised us. Her view of temple at five years old is not favorable, although quite amusing for the rest of the family members. 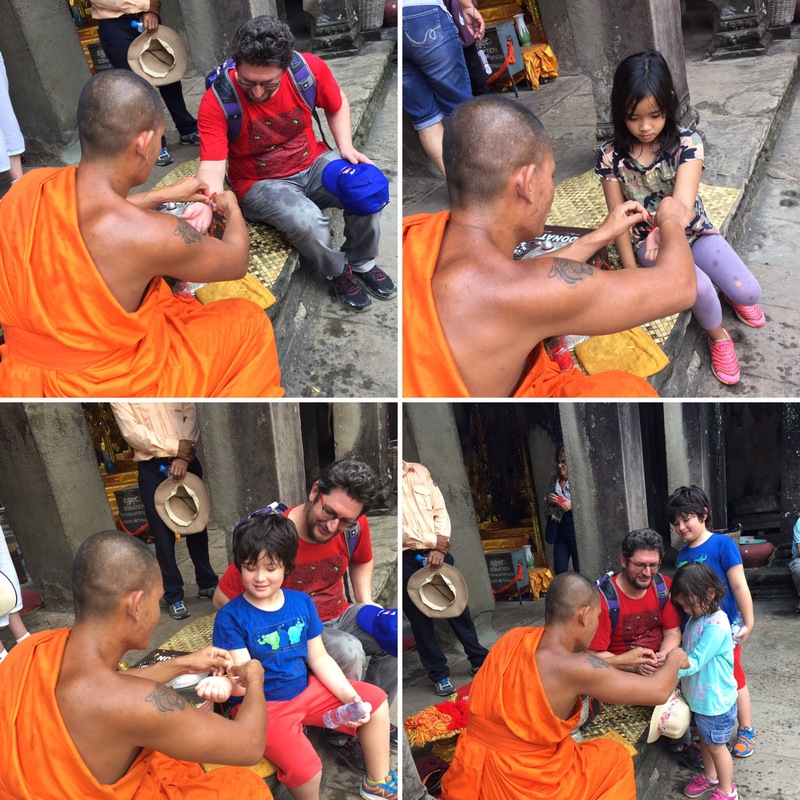 Angkor Wat With Kids is Quite Educational and Great Fun… Really! 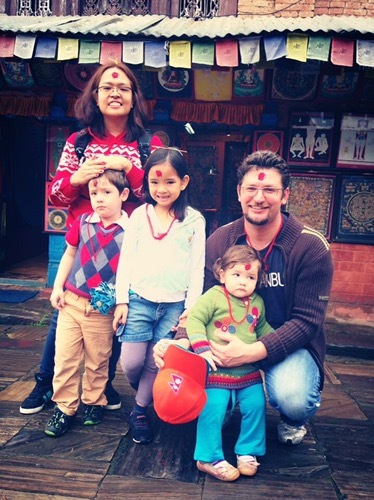 From A Hindu Temple to A Buddhist Temple – Can you Explain that to this Muslim/ Christian Family Please?! Oh, we get it! 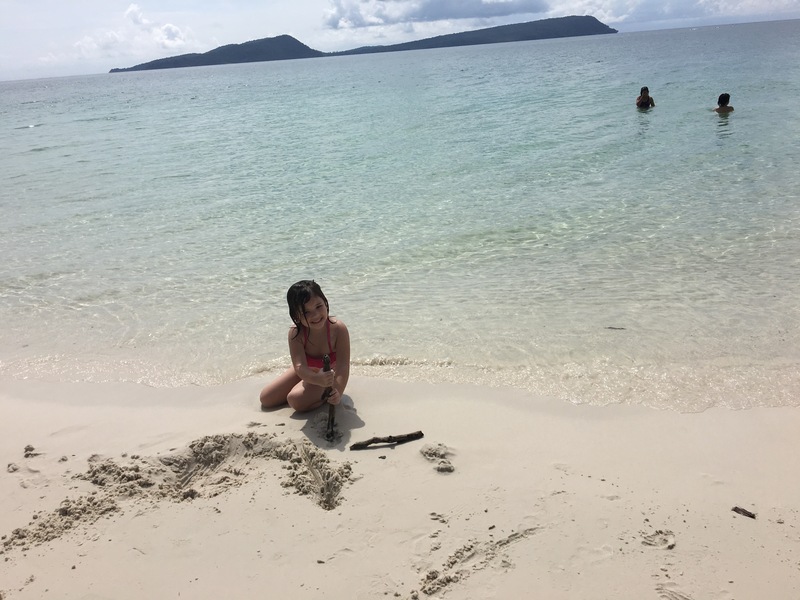 Although, we love tropical weather over desert weather, we really rather be at the beach or any body of water when in a tropical country like our dear country home. 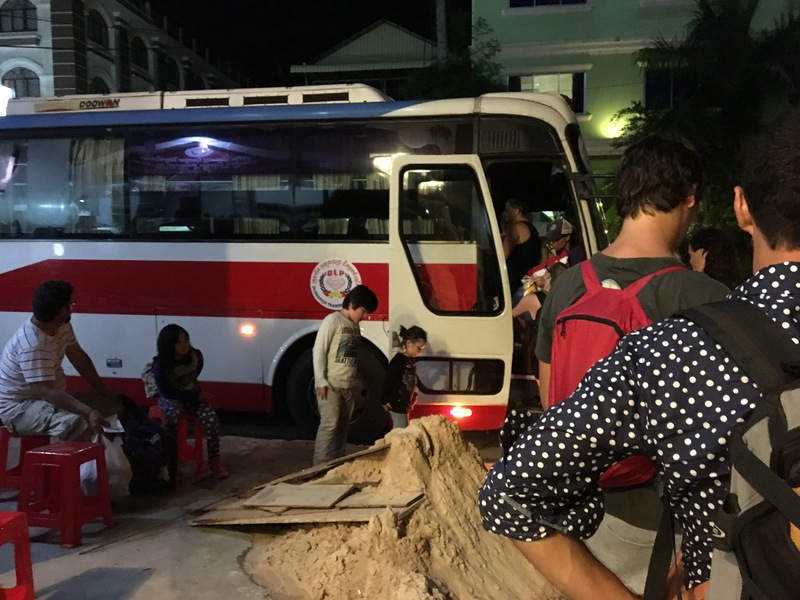 From Siem Reap to Sihanoukville, we took an overnight bus thinking we’ll save a night in a hotel plus save time to be able to explore more of the Kingdom of Cambodia. Did we? Oh yes, we did! We do NOT recommend it to family with kids, though. It’s not safe,not to mention, not convenient nor hygienic. The bus has not toilet. There are pit stops every few hours of bus speeding recklessly in the night, passengers coming and going at every busy stop. 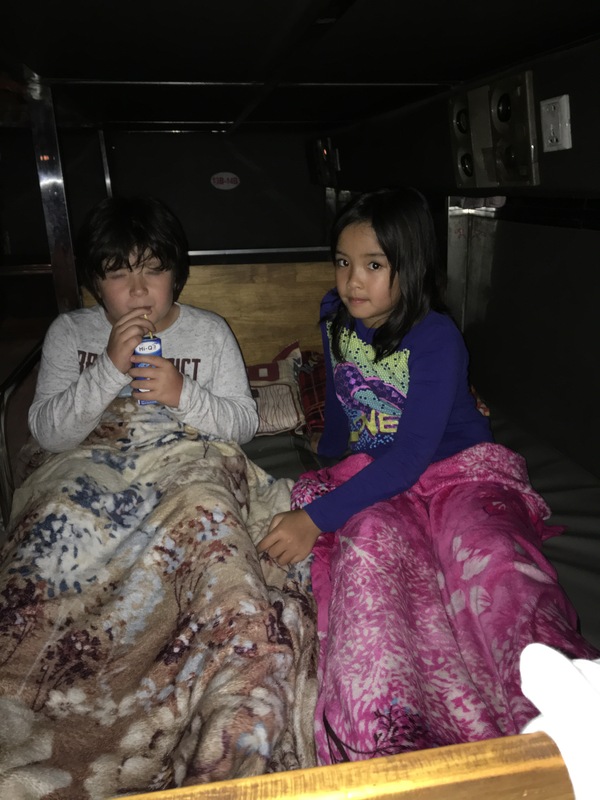 It was pretty stressful for us parents, while the kids sleep beside each other with dirty blankets. We needed to use the blankets as the bus air conditioning was on full blast. Yeah, the things we subject ourselves into when we travel with kids. This is definitely under the list of “why did we do that?” category of our travel “Remember when? !” conversations. 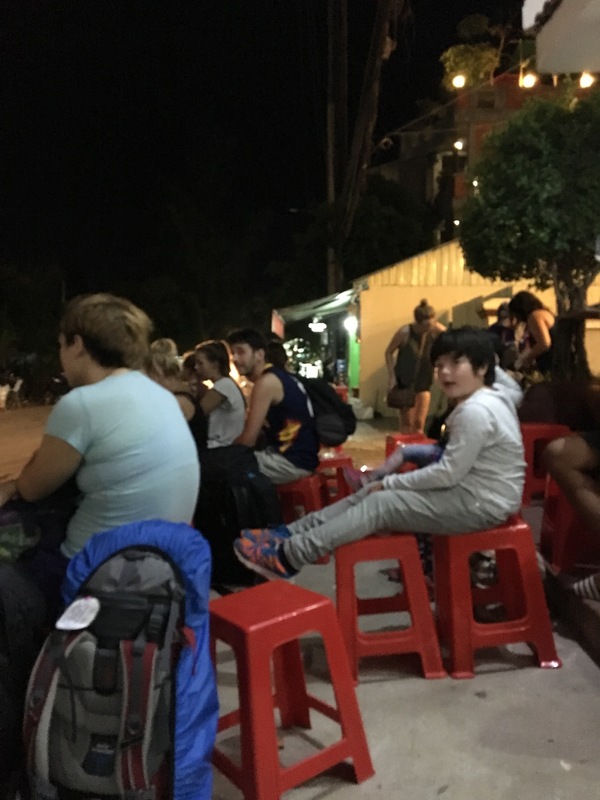 Our Overnight Bus – Oh Dear Lord, Not Again For Kids! 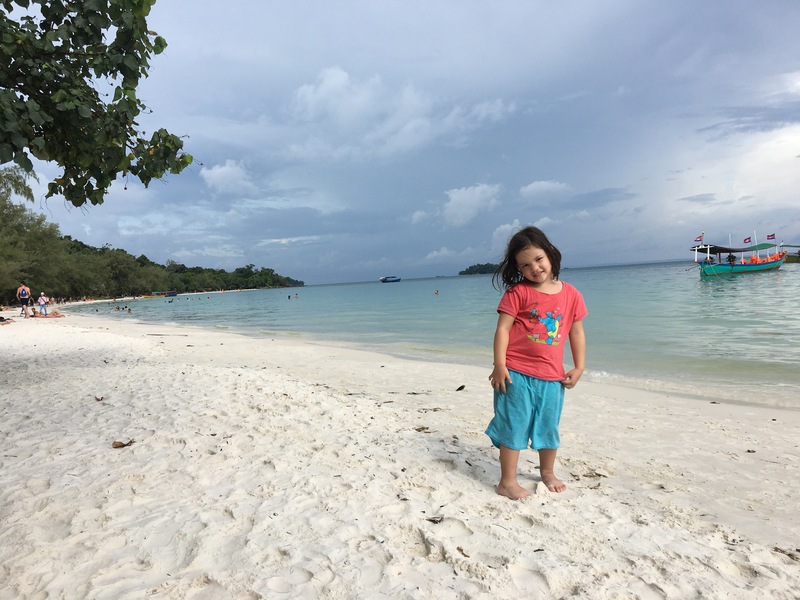 The beach stay in Sihanoukville is almost worth the bus ride. The beach is fantastic, although the water is more on the lukewarm side than refreshing. 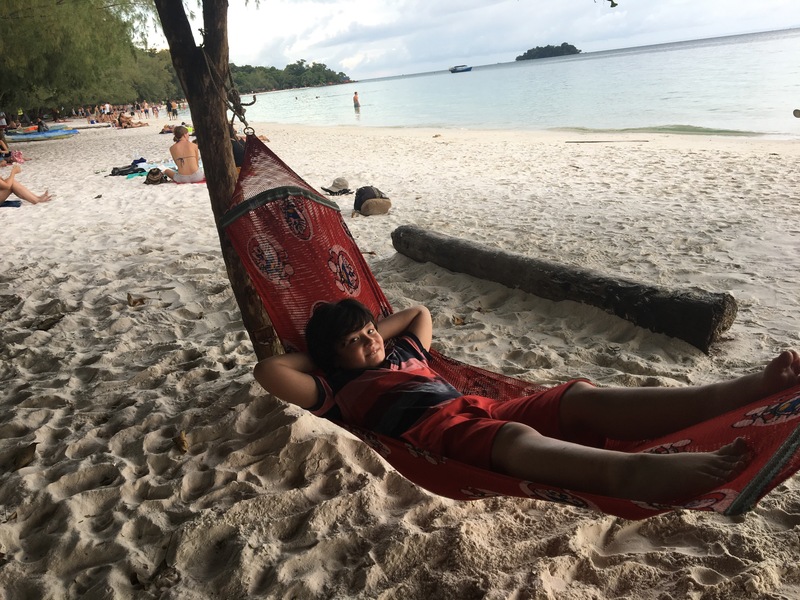 Somehow, we don’t often hear Cambodia and beach in the same sentence together. 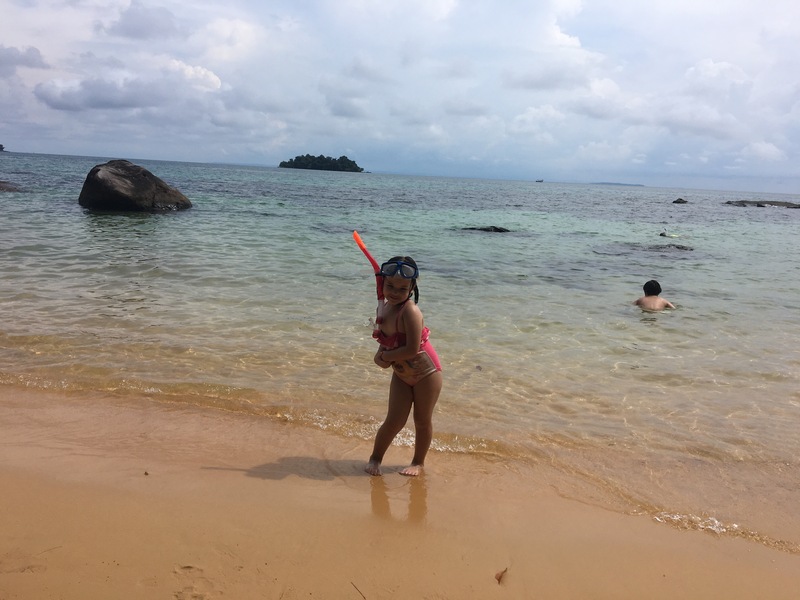 Yet Koh Rung Island, the second biggest island in Cambodia is said to be one of the best in SouthEast Asia. So, off we went. What do we think of the Koh Rung? It’s a good beach island, yes. The best? We’ve seen better in Philippines, of course. We were also expecting the same convenience we had during our Maldives trip so a little bit disappointed when we learned that there’s no electricity in the island during certain period of the day. We also got a tree house with no air conditioning with little to non facilities. Koh Rung is a little still developing island, based on our opinion. Overall, the beach is fantastic and one of a kind. Beachlovers would definitely be awed if they do visit. Fine Gold Sand Beach adjacent to Fine White Sand Beach – Kao Rung! We explored this quite crowded city in two days. 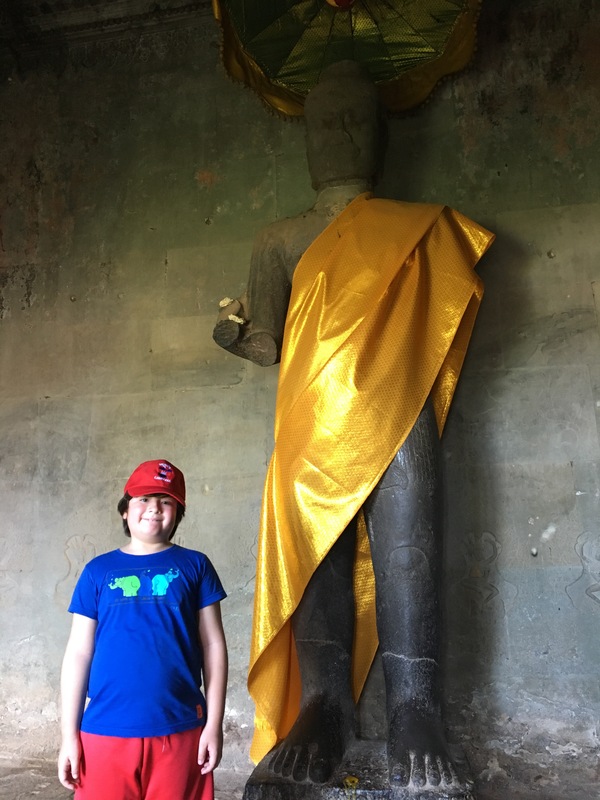 As a worldschooling family, we spent a great deal in the Angkor Wat museum and Royal Palace. As usual, the kids enjoyed running around and parents wishing that they are learning something. 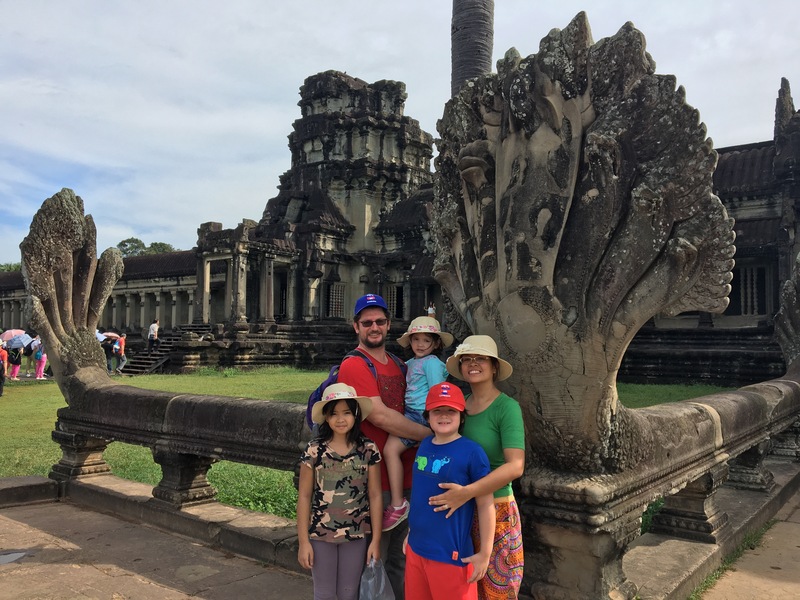 The Kingdom of Cambodia is a fascinating country with resources that are diverse, culture that is rich in history and legacy. The people definitely are one of the nicest in the world. 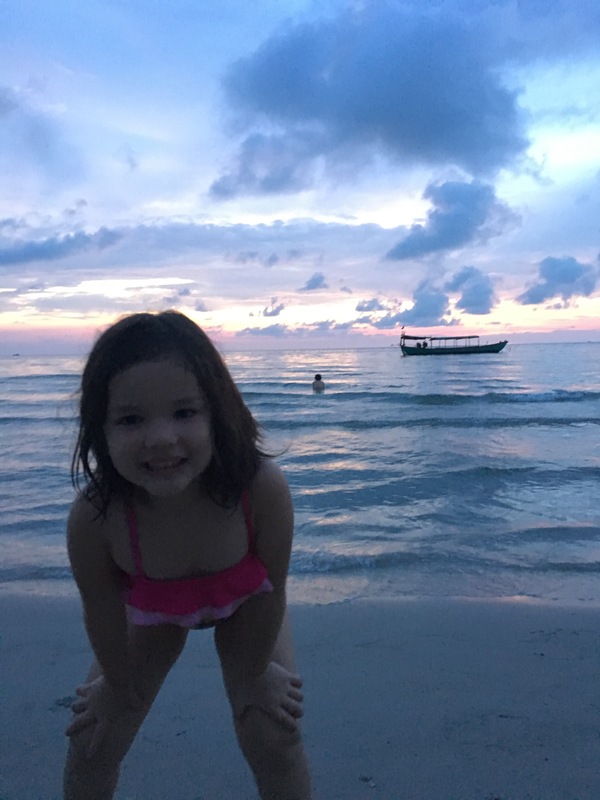 We wouldn’t mind going back to Cambodia with kids if they do request! 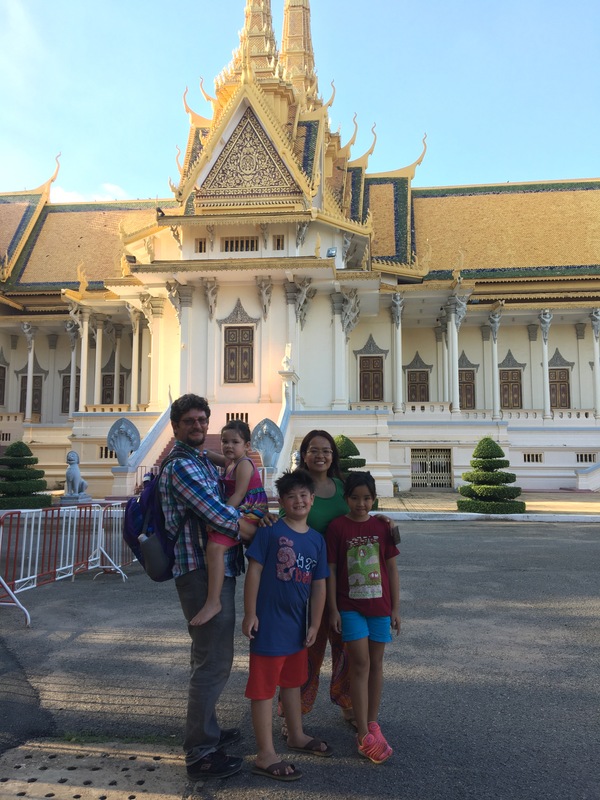 Have your family been to Cambodia? 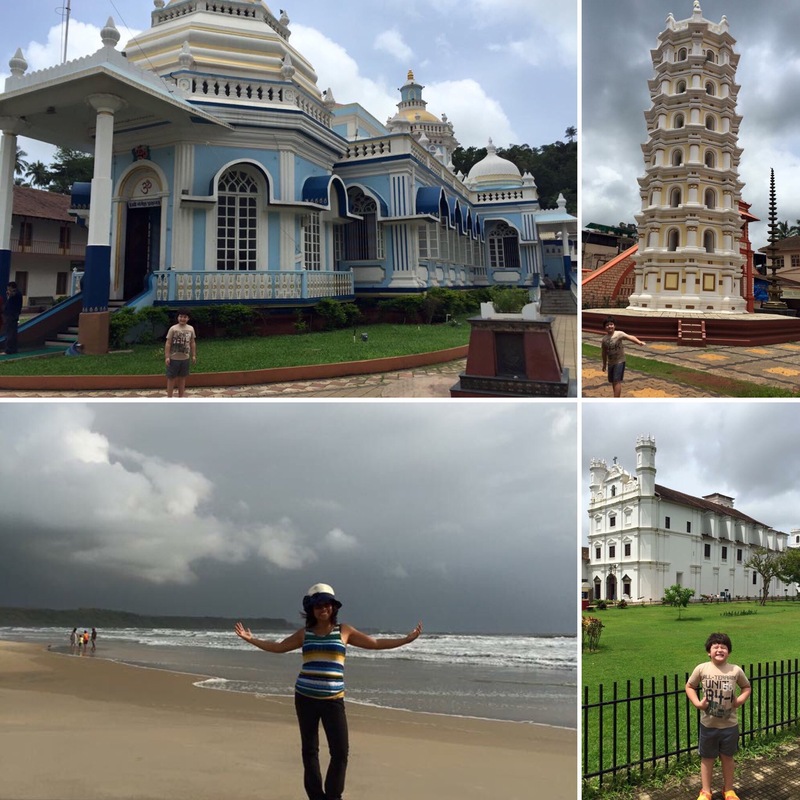 Explored temples or beaches? Do tell. 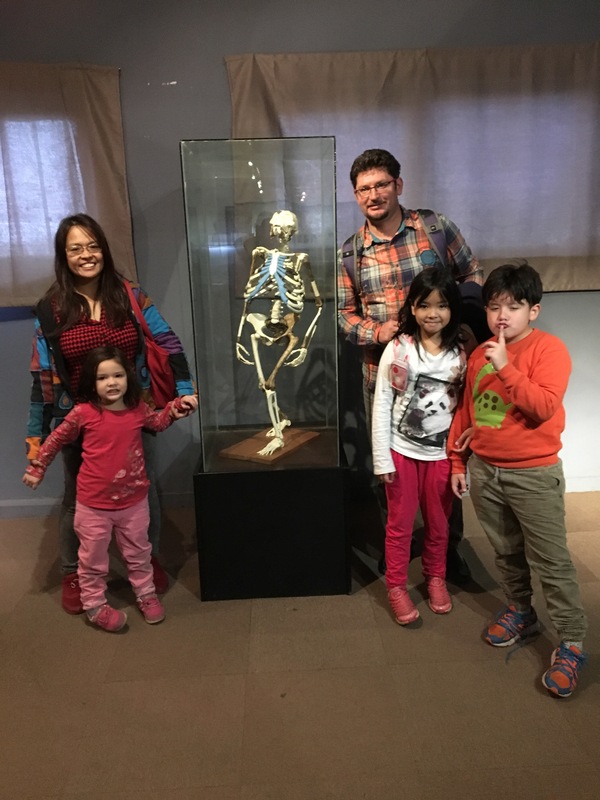 July 31, 2016 by turknoys, posted in Education, Liechtenstein, Travel Adventures, Why Travel With Kids? After our family’s visit to Monaco, a very small country, our family started to become fascinated with small monarch countries. It’s amazing how a small group of (very rich and powerful) people look up to their monarch leader and enjoy all the citizen’s benefits of a what-it-seems to be a powerful state. 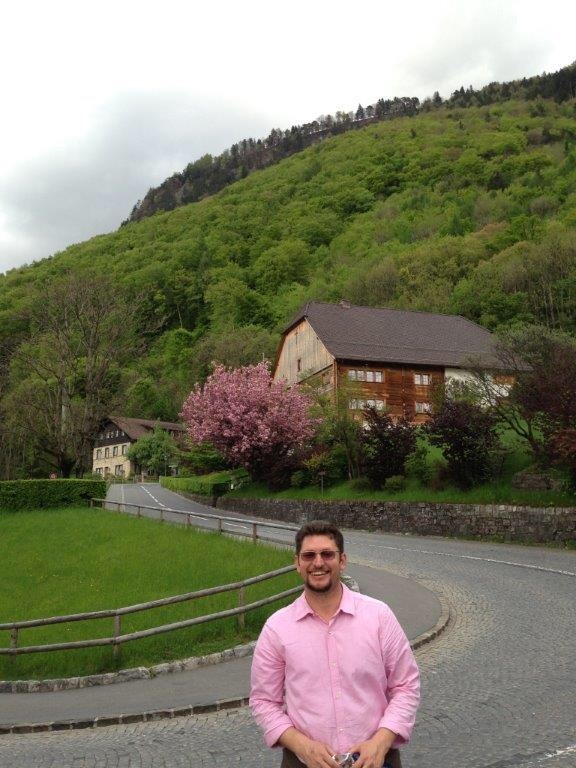 Liechtenstein is a tiny alpine state nestled on a narrow strip of land between Switzerland and Austria. The landscape of this narrow strip of land is indeed magnificent and resembles mountain paradise. 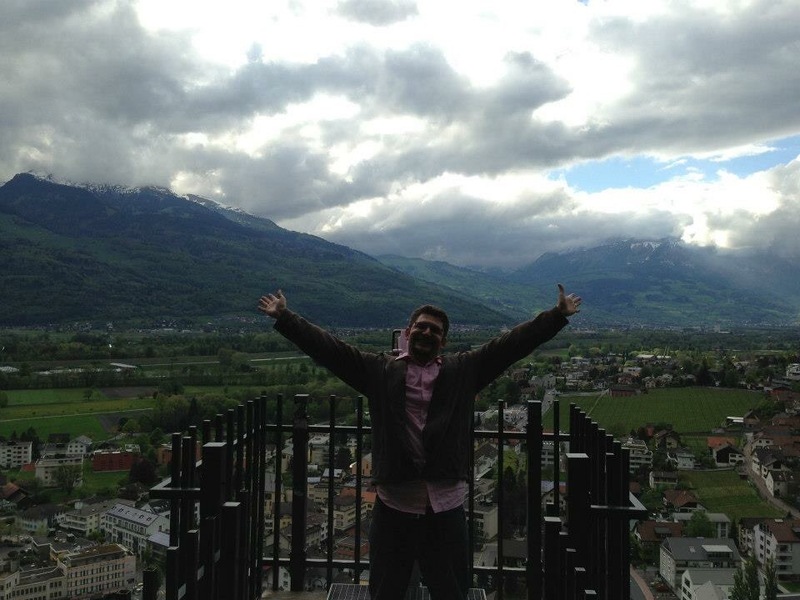 We spent a full day of awe in Liechtenstein. 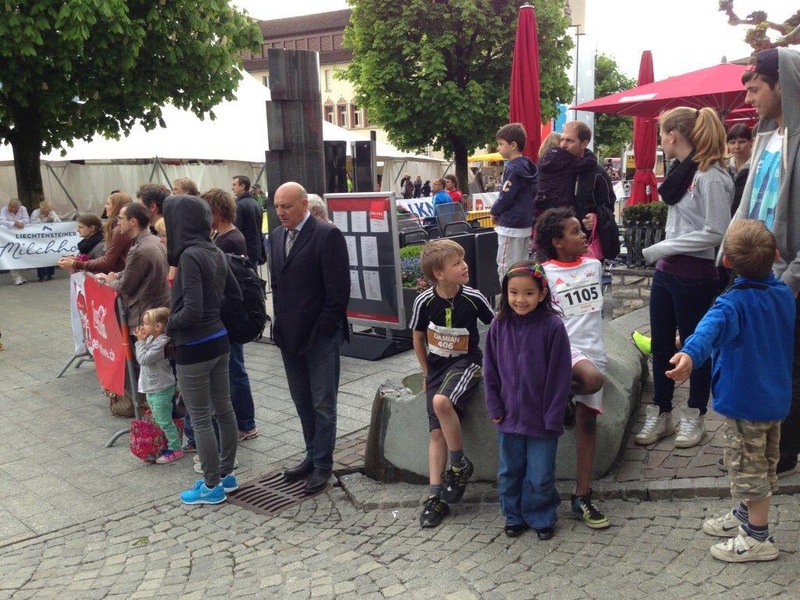 We watched a marathon of healthy people, young and old, we ate at the healthy restaurant, we trekked the path leading to the Castle of Vaduz, where apparently, the Prince of Liechtenstein live. A majestic landscape of a small monarch country! Having that bold tourist attitude, after the long beautiful trek up the Castle, we knocked at the gate of the Castle of Vaduz and asked with lots of enthusiasm the heavily armed guards where the entrance to the Castle is. 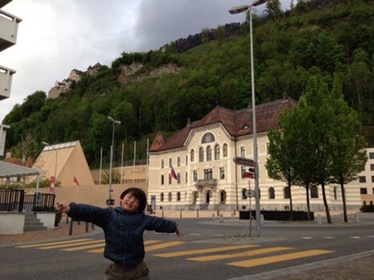 To which they replied with a polite laugh, that the Castle of Vaduz is not open for public as the Castle is where the Prince of Liechtenstein lives. 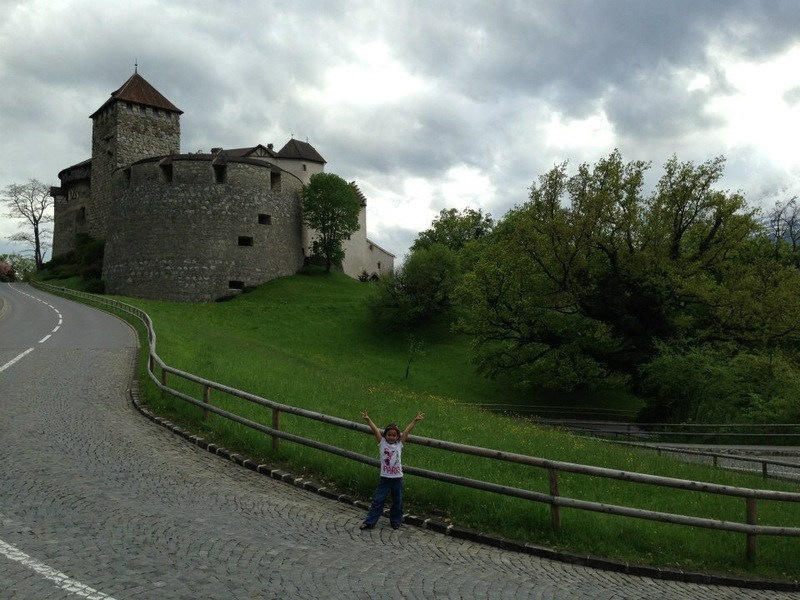 Castle of Vaduz , not a museum but a monarch residence! We retreated to our family photo taking when the citizen running pass by and we asked him, again boldy, to take our family picture with the castle. Poor guy didn’t have any choice; we won’t let the moment pass by without that family photo. 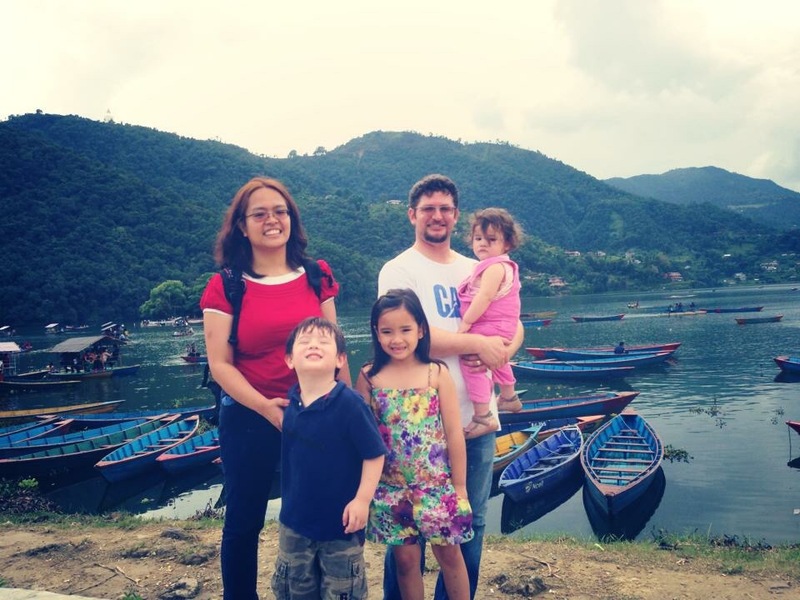 One of our most loved family travel photo! We were not sure it was the Prince himself until another citizen, this time a beautiful woman passed by us and we asked her again to take a family photo of us (yeah, we know, tripod, right?!) and she asked: Did you see the Prince? And husband replied, quite merrily: Yes! Kids were curious and happy. The prince driving his own car, without a desperate princess running after him asking him to save her! A prince who is actually a real person living in a real life castle. 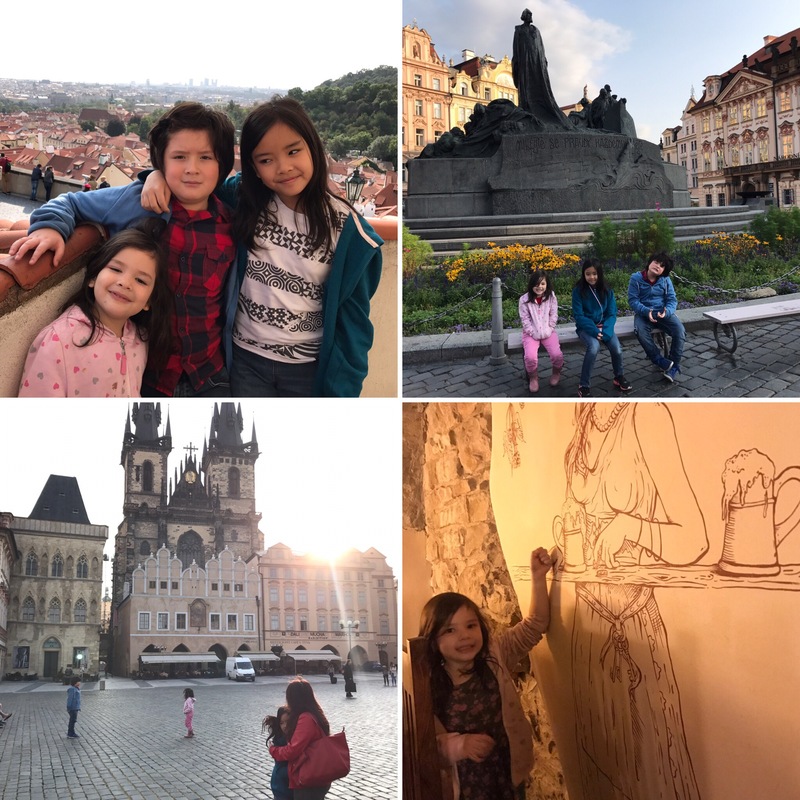 Just like that, our kids’ eyes were open to the “real world.” Which turned out to be more wonderful than what Disney fairy tales want us to believe! It turns out the Prince Hans-Adam II really lived quite a great monarch example. One of the wealthiest monarch who saved his family’s business right after business studies like any other normal student. He then saved the country and built a name for it, hence, he is quite well-loved among all the citizens. Prince Hans- Adam II will always be a great example of a leader for our family. 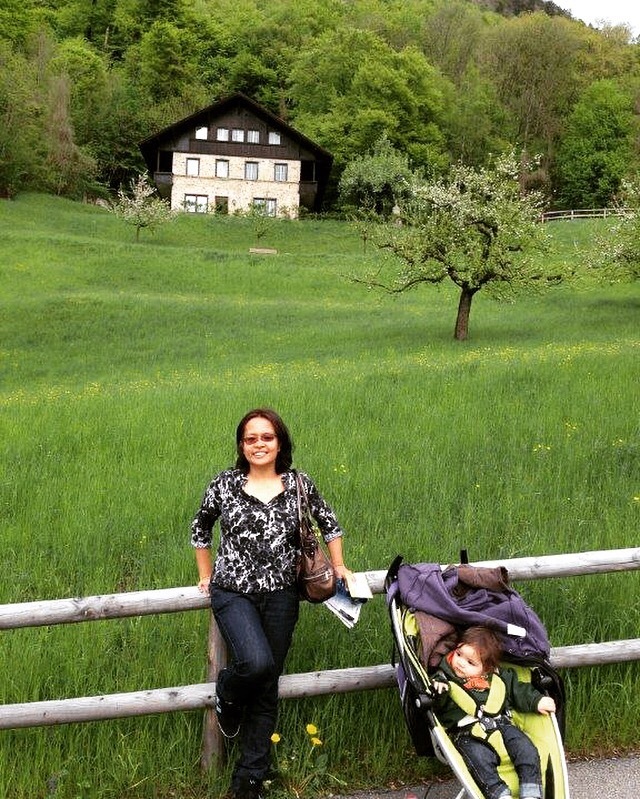 We feel very lucky spending one day in Liechtenstein. The Prince will never know how much his life gave so much impact to a traveling family like us. Yet, we will remember this as one of our fondest traveling moment. We want to be part of this world!! What a beautiful place to be!!! 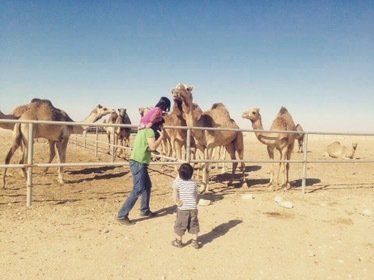 Baby Camel: Mother, may I ask you some questions? Mother Camel: Sure, my son. Baby Camel: Why do camels have hump? 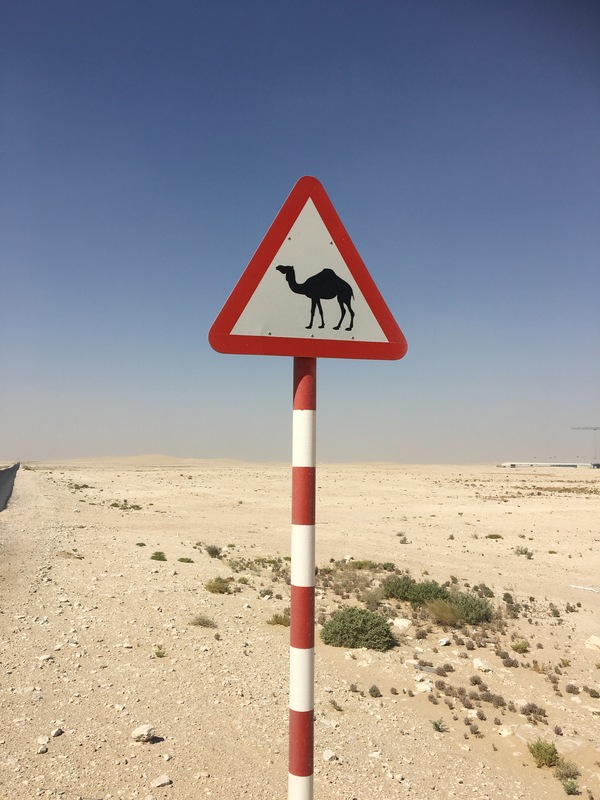 Mother Camel: Camels are desert animals. We need the humps to store water and we are known to survive without water for a long time. Baby Camel: Why are our legs long and feet rounded? Mother Camel: Obviously, they are meant for walking in the desert better than anyone does. Baby Camel: Why are our eyelashes long? Sometimes these bother my sight. Mother Camel: Those long eyelashes are your protective cover. They help protect your eyes from the desert sand and wind. Baby Camel: The hump is to store water for long days in the desert, our legs and feet to walk in the desert and our eyelashes as protective cover. Mother? Baby Camel: What are we doing in this zoo?! Moral Lesson of the Story: Skills, knowledge, abilities and experiences are only useful if you are in the right place. Travel Lesson of the Story: Find the perfect place for your skills, knowledge, abilities and experiences. Travel. A Lot. Get to know all different places in this world. The world is huge to settle for the zoo. Home Education Lesson of the Story: You can’t really know how to use your skills, abilities and knowledge and gain experiences if you are stuck in the zoo! Kids look up to their mothers and fathers for the answers. Most of the time, the obvious questions need the obvious answers. Obvious answers need obvious actions. We home educate our children. We aim to travel. We want to use our capabilities to the fullest. Zoo is so confining. That’s obvious, right?